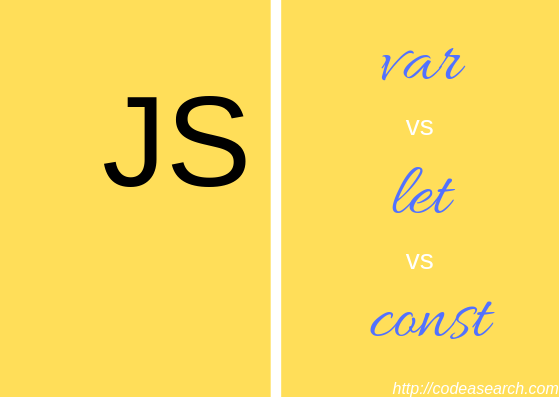 Today article we are going to discuss var and let and const feature. Most people worked on var but not sure about the let and const. Because var is more flexible than let and const. First why var is more flexible than let and const. var can easy to access between the function and files, can you declare var as global, re-declare the variable and update the values. Let’s include the first and second.js file into HTML. The output is 2 because x is assigned in first.js and second.js x is re-declared with value 2.
let work same like var, but you cannot re-declare the variable again if its already declared inside or outside the function. The advantage of let is it will throw an error message if we try to re-declare the variable again. So it’s a safer side that variable will not be re-declare again, but if you want to overwrite the value you can update. const work entirely different, it cannot re-declare and overwrite the values inside or outside the function. When we try to re-declare or overwrite values it will throw the error message. As I mentioned const cannot re-declare or overwrite the value, so its throwing error message. Above code will not throw error message because x is assigned inside and outside the function. Please share your valuable feedback and suggestion.